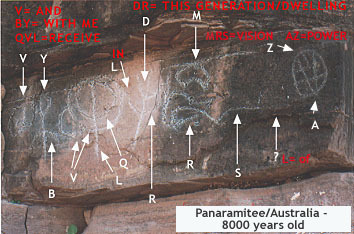 In Australia, this alphabet has been found on many locations and adheres to the grammar and structure of the other known petroglyphs on the other two continents. Ironically, instead of considering the similarity to other archaeological sites around the globe as evidence of a global culture, the scientific community in Australia has denied the possibility that this is any type of "system" at all, either writing or storyboard. "It is either not possible to identify the Panaramitee style, or... this is a world-wide style." The map above shows the myriad locations of this style. 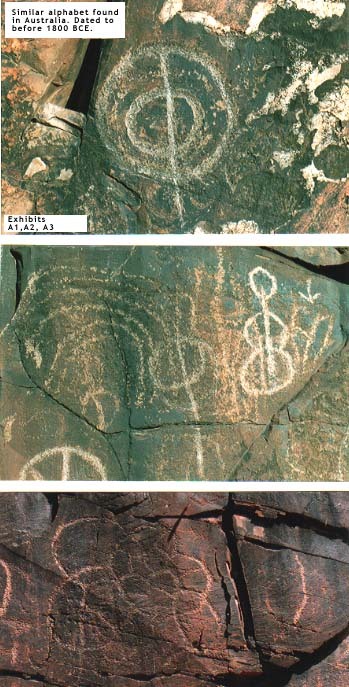 It has been noted that this style is also accompanied by petroglyphs and pictographs of strange humanoid beings with large eyes. 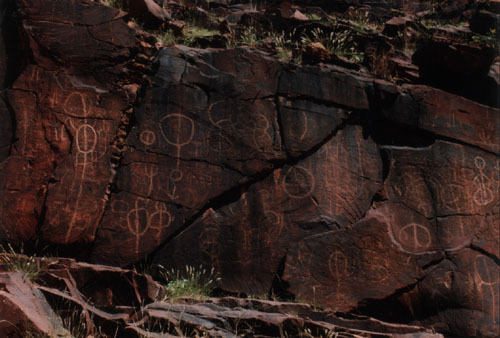 There are also reportedly collections of carved handprints, similar to those recorded in the canyons of Monument Valley and in Southeast Colorado. Dr. Harris has not reported these types of phenomenon in the Sinai. 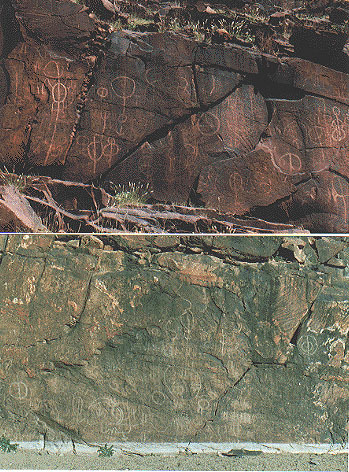 Most recently, Viewzone received photographs from a team in Australia who depicted similar petroglyphs of a much older date (i.e. in excess of 1800 B.C.) These were examined and translations of the material proved that it originated with the same root culture and ascribed to the same rules of grammar and symbols. 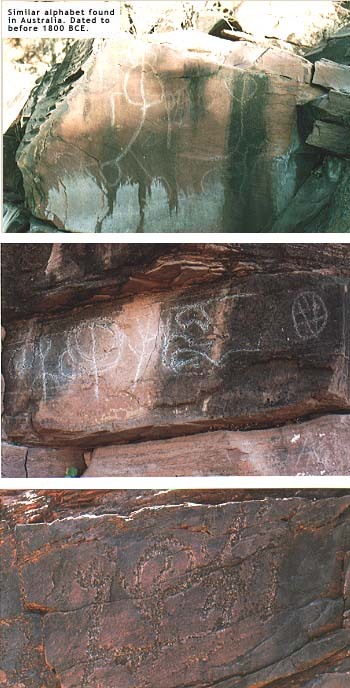 Translation of these Australian panels, a style known locally as Panaramitee Tradition, has not been completed but the results have been successful.